Who would’ve thought that January would go by so quickly? But here we are starting off February! Instead of doing my goals and online income update together I’m taking a different approach from now on. Instead of listing too many goals that I may or may not stick with, I want to start working on one habit/area per month and continually build off of it. For those of you who have read The Happiness Project it’s going to be like that – only with different areas of focus that are more related to me and my life. More on that later this week! So, on to January happenings. After a disappointing November and December I was kind of second guessing myself about the freelance work. And then January came. The first couple of weeks were okay and the last two were awesome! I thought about another service I could offer and I think it will work out pretty great. Actually I’m thinking if I get the word out enough it will keep me jam packed busy. I’ve tested it out with two of my current clients now and so far so good! So this month I’m going to work on expanding the writing part of the business and see where it takes me. With all that said my income from January was $1,968.73. (This counts only the work I’ve gotten paid for so far that I did in January.) The good news is that I have about $1,100 more that should come in this week for work I’ve already done. Now I’m motivated to pick up my pace a bit!! I’m going to keep it short and sweet today. I had planned cranking out a bunch of blog posts today but then it snowed last night…….and since I refuse to drive on snow covered roads I can’t take the girls to the babysitter, meaning not much will get done today. So more on everything later this week! Almost $2,000 in income?? That’s incredible! My January was rather slow, but I’m optimistic that things will pick back up. What kinds of tweaks did you make to your Adsense to double your revenue? Thank you! I looked through webmaster tools to see which of my posts were getting the most traffic. For this blog almost all of my Google traffic goes to two different posts. So I just added adsense to “clickable” spots on those two posts. I did this close to mid month (maybe around the 10th) and brought in an extra $200 because of it.Pretty easy!! WOW, I am impressed with that kind of an improvement! That’s more than I’ve ever made in Adsense, total. My earnings from Adsense have been pitiful for the past year. Then a couple months ago I started experimenting with just a couple posts. Then I actually took the time to see which posts got the most traffic. (I should have done that from the beginning because they really weren’t the ones I thought they’d be) And I’ve been surprised how easy it worked! Now I check my Ad Sense everyday lol It’s kind of addicting. Wow I definitely appreciate you sharing this, Alexa! I haven’t tried this out but it makes sense why it would generate good $. Congrats on the $2k of freelance income (in the bank) in January! It took me awhile to earn money from my blog and it’s still kind of a roller coaster. I’m sure you’ll do great when you’re ready to montetize. Sounds like you are doing great Alexa. I hope we can keep working together in February and make it an awesome month! Awesome job Alexa! 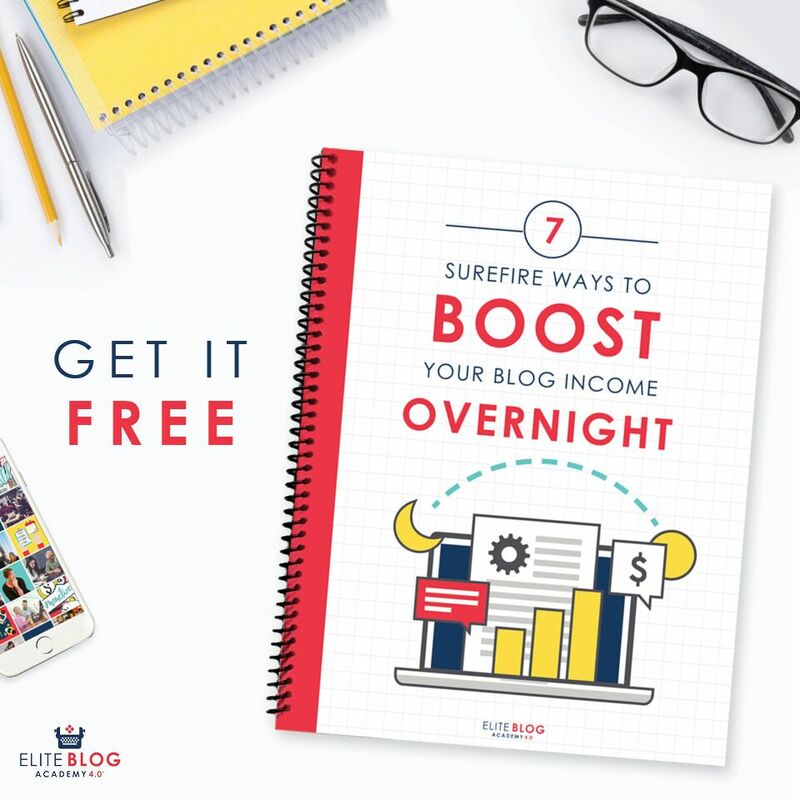 I am hoping that some day my blog income can get to that level! It’s inspirational for me to read posts like this and know what the possibilities are. Thanks for sharing! You can definitely get to that level. It takes a little time but I think the possibilities are endless. That’s great Alexa – to earn that kind of money whilst working around your children is really impressive. I think you’ve done brilliantly with increasing your blog traffic! Thank you. I’m actually really surprised that I was able to increase my blog traffic. Mostly just from a few little tweaks. Wow 2k is great. You’re doing a great job reworking your job! Wow sounds like you had a great month. Hopefully February is even better! Great job, Alexa! Killin’ it as usual!